If you control 2 or more monsters with the same Type, you can Special Summon this card (from your hand). You can only Special Summon "Cyberse White Hat" once per turn this way. If this card is sent to.. While this Normal Summoned/Set card is face-up on the field, all Cyberse monsters you control gain 500 ATK/DEF during your turn only. If this card on the field would be destroyed by battle or card eff..
You can Normal Summon/Set this card without Tributing, but its original ATK becomes 1900. You can Tribute 3 monsters to Tribute Summon (but not Set) this card. If Summoned this way: Destroy all cards .. If a Link Monster(s) you control is destroyed by battle or an opponent's card effect: You can target 1 monster in your GY, except a Link Monster; Special Summon it in Defense Position. You can only us..
All Link Monsters you control gain 300 ATK. Once per turn: You can target 1 monster in the GY; shuffle it into the Deck. If this card on the field is destroyed by a card effect: Send all monsters in t..
Special Summon 4 "Sheep Tokens" (Beast/EARTH/Level 1/ATK 0/DEF 0) in Defense Position. They cannot be Tributed for a Tribute Summon. 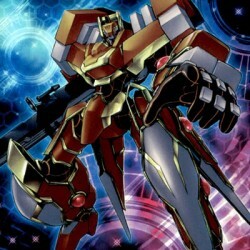 You cannot Summon other monsters the turn you activate this card (b..